Dr Swaminath is the psychiatrist who has been visiting our hospital every second Sunday for more than 15 years now. It all started with Dr Gururaj Karajagi introducing me to an ENT surgeon friend of his, Dr Deepak Haldipur. Dr Deepak visited our Kenchanahalli hospital along with his friends Dr Swaminath and Mr Venkatakrishna. That was in 1996. At that time, they promised to visit the Kenchanahalli hospital on the second Sunday of every month and started providing their services. Once the Saragur hospital started full-scale operations in 2002, they started to come there instead of Kenchanahalli. After many years of service, Dr Deepak discontinued his visits and his good friend Dr Ashok started coming, and he still does so. But Dr Swaminath has been going on and on! Many years ago, I asked him how many years was he planning on rendering his service voluntarily at our hospital. In his own humble way, he told me that he was not rendering any service and as such, this question did not arise in his mind. Seeking my perplexed look, he continued, “My first and only obligation is to the 35-40 patients that I treat every time I come here. When I began, I did not realize that there would be so many poor rural and tribal patients wanting psychiatric services. Now that I am aware of this, I will continue till I find that these patients can get better psychiatric services than what I can provide.” A simple yet profound answer from a person who on the surface always looked so casual and jovial! Over the years, I have seen Swami’s (as we fondly call him) commitment to his work increase. Along with a group of like-minded psychiatrists and other friends, they started ‘Chittadhama’ – an institution devoted to providing care, treatment and rehabilitation support to the wandering mentally ill. They bought four acres of land close to Heggadadevanakote town and with the support provided by Infosys Foundation, have built the necessary infrastructure. I had visited this place when they were planning to buy the land. Today, on Swami’s and Bindu’s insistence, I had the good fortune of visiting Chittadhama. What I saw left me speechless. An excellent facility has been created with the aim of providing high quality care for these neglected and less fortunate brethren. I was bowled over by the professionalism, deep sense of commitment, passion and energy of Swami, Dr Ravishankar, Dr Murali and Mr Johnny, the trustees of the Chittadhama Trust. Mental illness is still a stigma today and there are thousands of people who are left uncared for and are homeless. With medical intervention and treatment, these people can be integrated back into the society. All that they need is psychiatric care, dedicated attention of trained personnel, love and compassion and the belief that they can be treated like any other physical illness. I found all of this and much more in Chittadhama. As I was leaving the place, moved beyond what I can express, Swami quietly confided in me that he was more concerned that Chittadhama be able to provide every person who came in looking for solace and treatment, with food to eat to their heart’s content. He was narrating how these people are misunderstood and consequently ill-treated by their families and society. Many of them go without bath for months and eat only when some kind-hearted soul gives them food. Amongst his close friends, Swami is not known to be serious or business like, but I surely found him extremely serious when he told me of this commitment of ensuring that no person is turned away from the doors of Chittadhama, hungry and uncared for. This is a place where one can give so much to people – people who will truly make us feel privileged and happy that we are given an opportunity to serve the God in them. 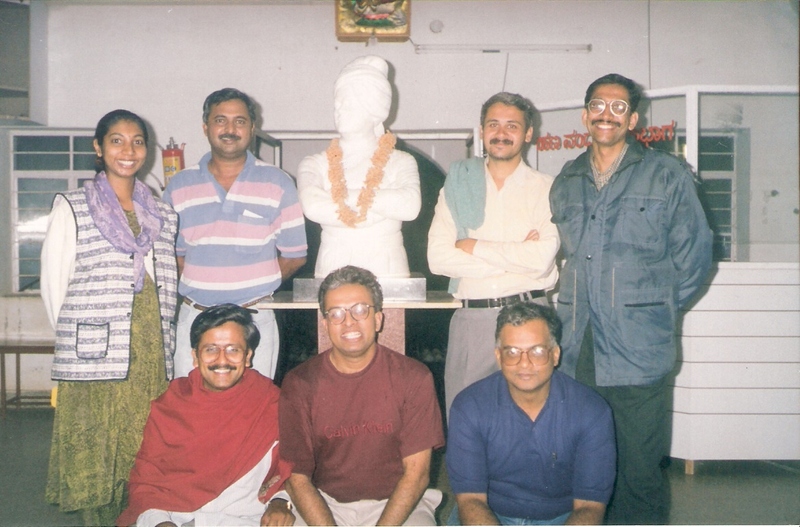 May the tribe of noble people like Swaminath, Ravishankar, Murali, Johnny and others increase.